Last week, NSLI-Y alumni shared their reflections on how participating in virtual exchange affected their study abroad experience when they presented at this years’ Global Education Conference. The Global Education Conference session, which also included a presentation from an American educator from Boston Latin School (BLS), took place on Tuesday, November 17, 2015. Presenters took a look at both sides of an interactive virtual exchange; NSLI-Y alumni and BLS students reflected on their participation. NSLI-Y Turkish and Chinese program alumni shared how virtual exchange helped them reflect on and process their own experience, and how participating in NSLI-Y Interactive Virtual Events can be considered just one of the many ways to be a citizen ambassador and a representative of the program. Along with reflections, students shared media that they created for sharing during virtual events. At minute 7:19 Turkish program alum Noah showed the following video that he made while on program, and had shared during a previous NSLI-Y virtual event. 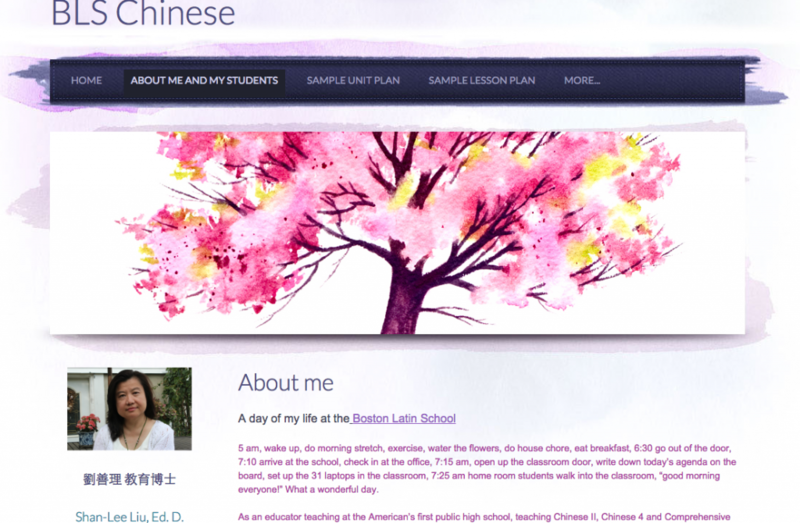 Shan-Lee, a Chinese language teacher from Boston Latin School, began her presentation at minute 21:00, and spoke about the blog that her Chinese language students have been contributing to. The blog was begun after Shan-Lee’s class participated in a NSLI-Y Interactive Virtual Event with Taiwan last year. Her blog, http://blschinese.weebly.com/ (shown below) showcases the progress and projects of Shan-Lee’s class and has links to student blogs that she mentions during her presentation. We encourage you to explore her webpage – especially if you are an educator.